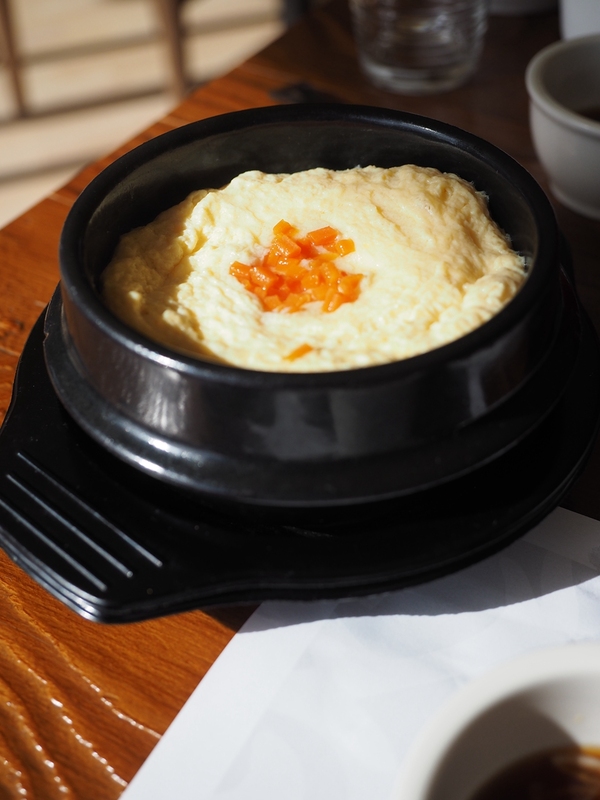 Where is your favourite place for Korean food? I normally hear people asking me this question. To be honest, I don’t normally eat out for Korean food as Tina and I sometimes cook Korean food at home. From many years ago, I used to pop around mapo regularly when it has not gone to a full fusion restaurant yet. Another place I liked was a small Korean cafe off Rundle Mall. Late last year, I read there was a Korean restaurant in Hazlewood Park which did good traditional Korean food. So why not check it out! Chef Kim Korean Restaurant is located in Hazelwood Park which is home to many small Asian eateries. 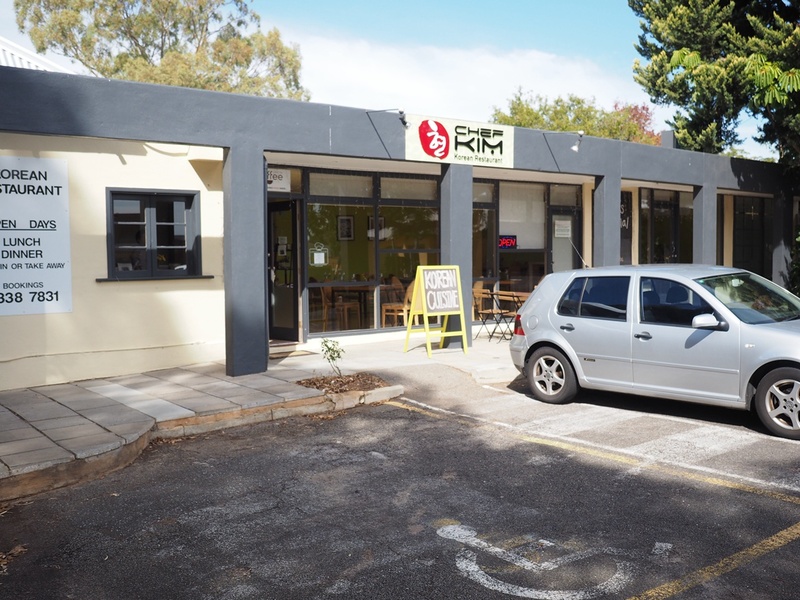 The restaurant opened 1.5 years ago and aims at serving traditional and authentic Korean cuisines using local SA produce where possible. Things like chilli paste are from Korean suppliers but meat and vegetables are fresh local produce. 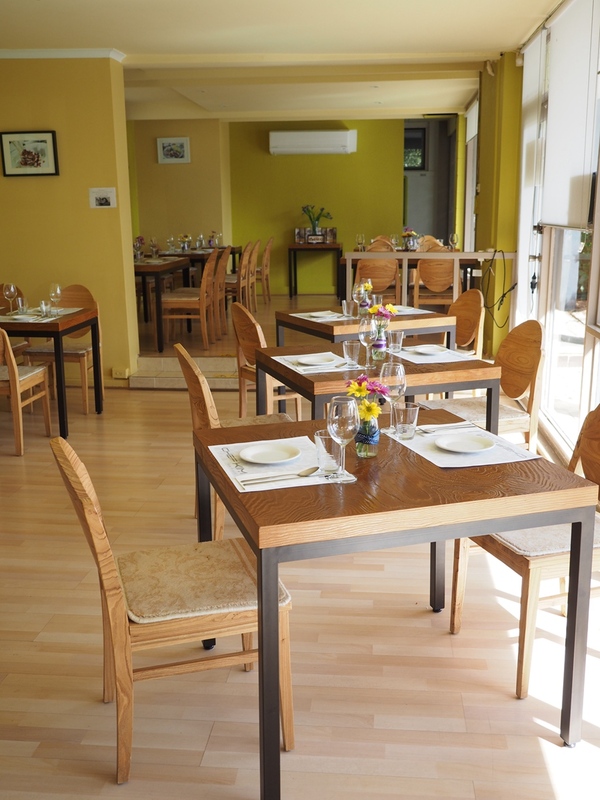 The restaurant is in a sleek and simple decor and shows a good country crop feeling when first entering the place. There are car parks on the outside of the restaurant, including disabled car parks. The menu at Chef Kim is quite interesting. 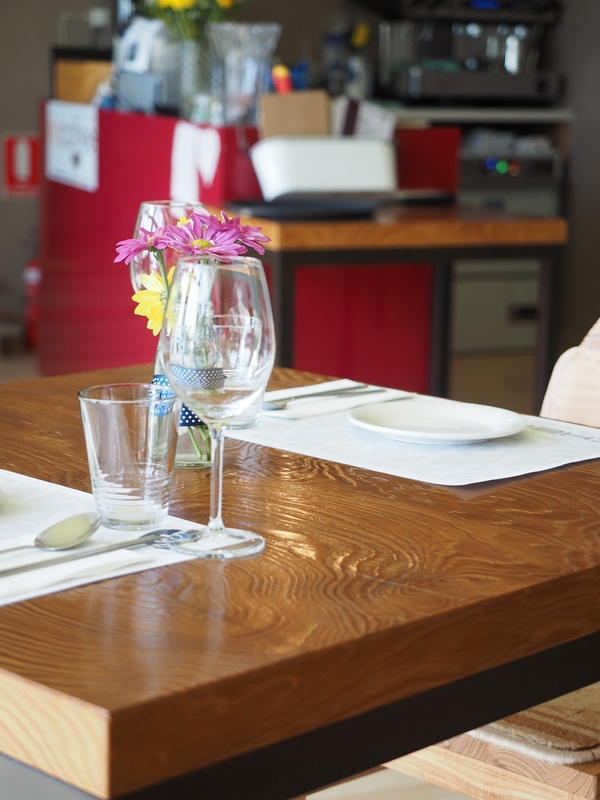 Diners expect to see a bit of both worlds. 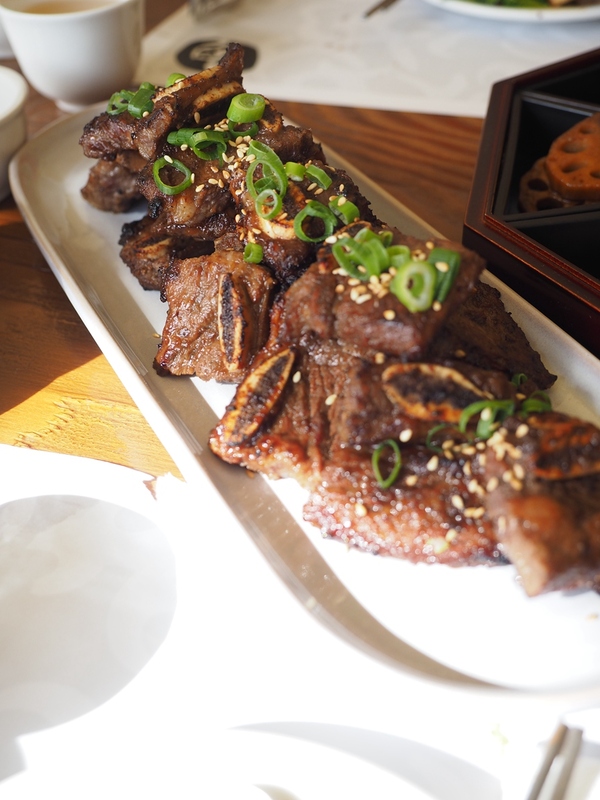 We were able to see the old school Korean dishes such as bulgogi as well as things that are not so familiar to myself. 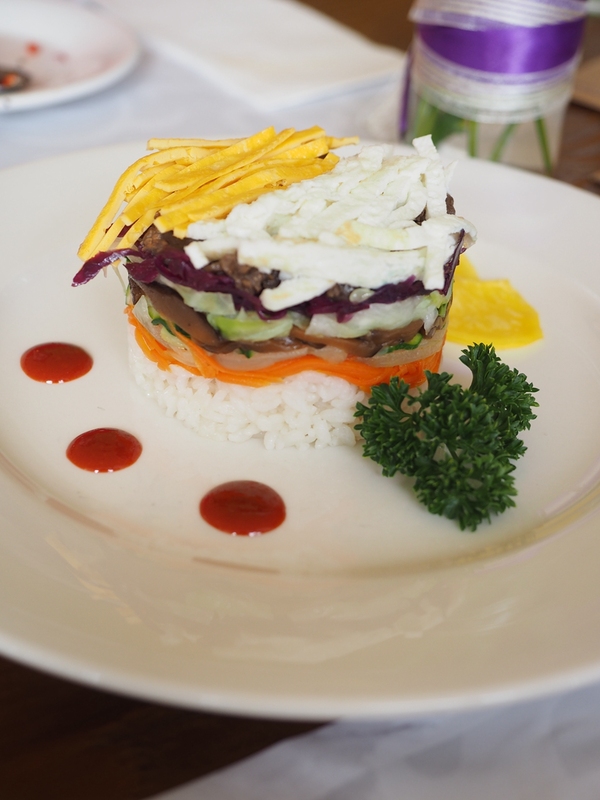 There is a separate lunch special menu which also feature lunch boxes which contain a bit of each all time favourites. I haven’t see the wine list but instead I saw a drink’s menu which again consisted of some traditional Korean liquors as well as different Korean tea. We ordered the Brown rice Korean green tea – a tea similar to Japanese Genmaicha. Our entrees and mains just floated to the table after we were seated. As I still need to work in the afternoon, no alcohol was consumed. I got a lemon lime bitters as I usually do. 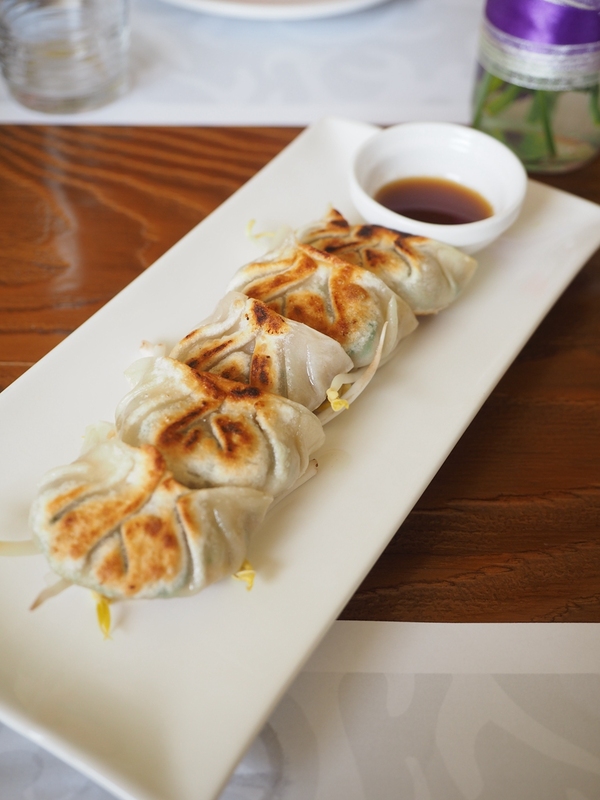 The fried dumplings were made of beef, pork, tofu mince and Asian chives. The outside was quite crispy too but if you are going to try this dish, let me warn you first – the dumplings are full of juices which are quite hot. Just be careful with that :P. I didn’t know this and bite straight into it. You knew what was going to happen – the juices spilled all at once in the mouth. It is a fragrant experience but was too hot. :D. The texture of the filling was pretty smooth and the soy sauce added some saltiness to the content. These were the entrees. The following items appeared at various positions on their menu. The first dish we tried was the garlic chicken. I’ve never seen a dish in Korean cuisine like this before. The chicken thigh fillets were marinated with freshly crushed garlic and was pan-fried. The fresh garlic added exotic flavours to the dish but it was also used as a tenderiser. 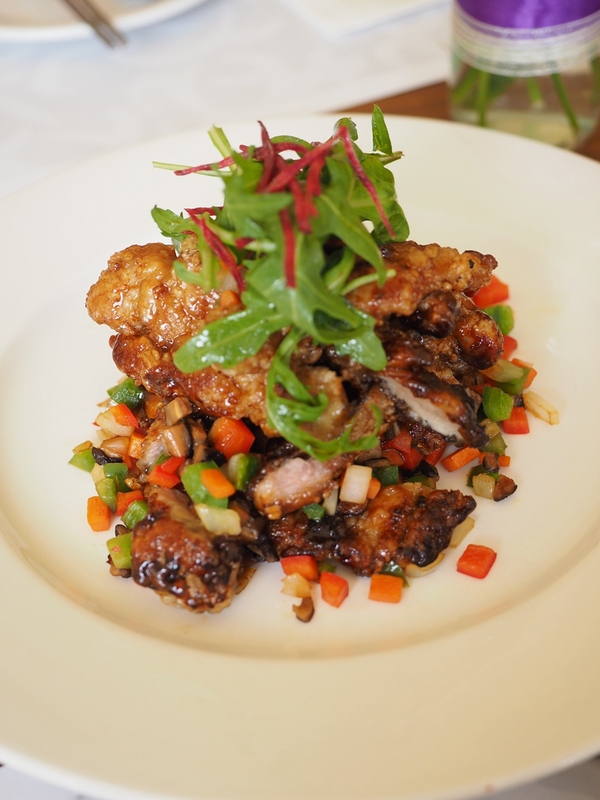 The chicken fillet in this dish was extremely juicy and tender and it was such a irreplaceable experience to indulge. The dish is normally paired with rice which can take some of the strong garlic flavours away and can definitely satisfy a hungry belly. 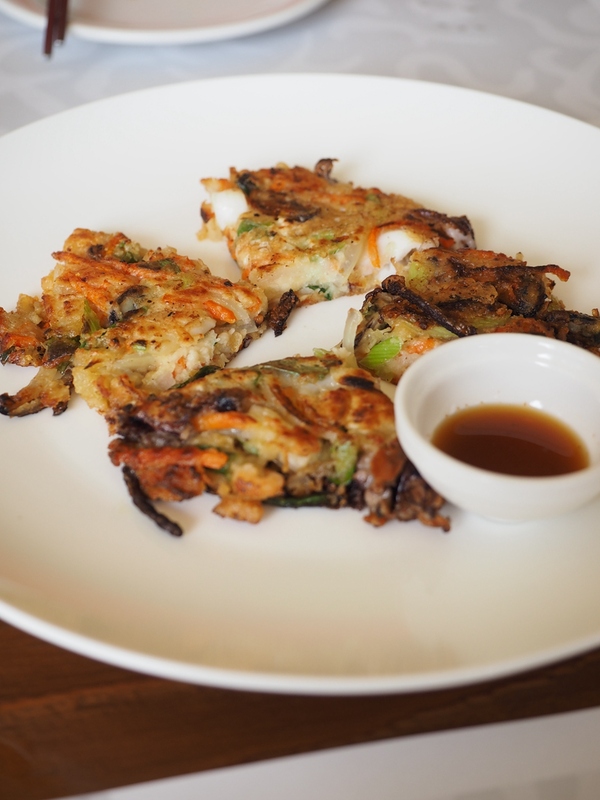 If you think Asian cuisines are all about meat stirring with veggies, then this dish is an exception. 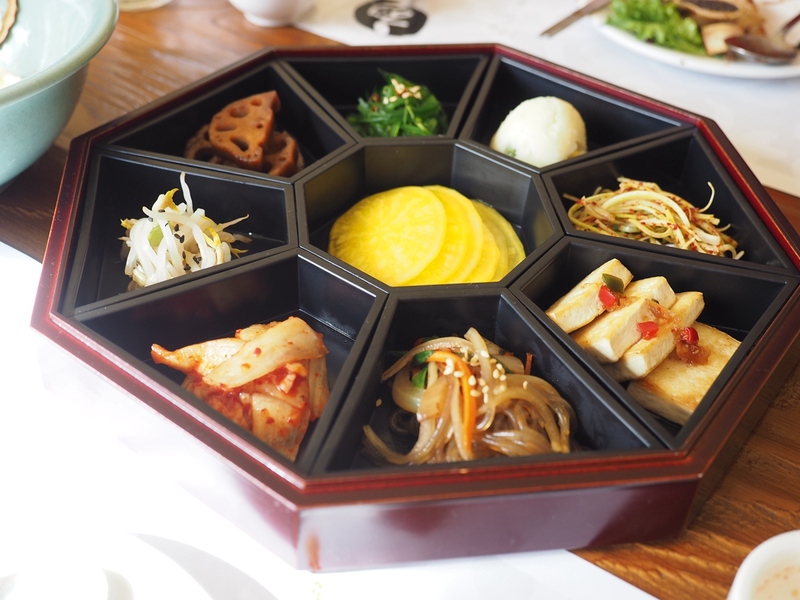 It fit well in the vegetarian requirement as it contains pan-fried tofu and various delicious mushrooms. 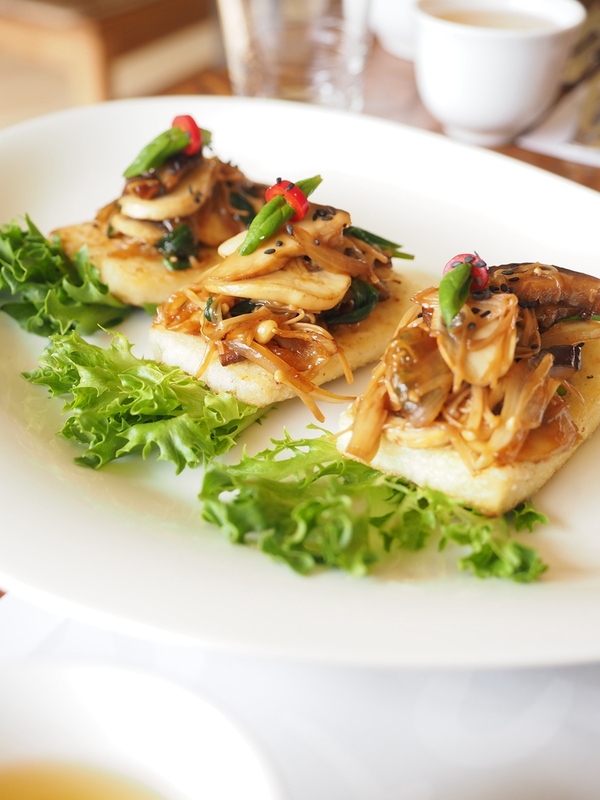 In terms of flavours, diners can expect to taste beautiful Korean ways of cooking mushrooms and the hint of chilli, which helped the dish to lift many complex flavours up. This is Tina’s favourite dish of the day. Chef Kim uses local South Australian produce wherever possible. 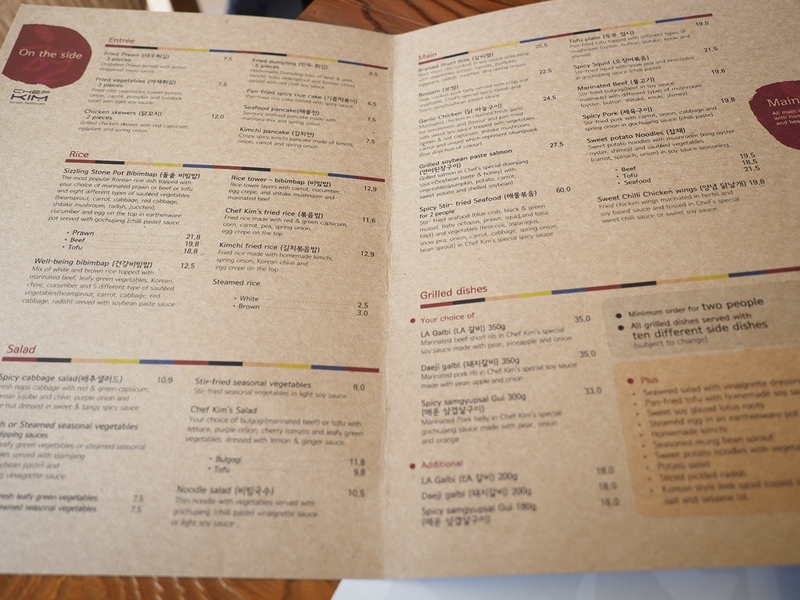 According to the restaurant manager, only essential chilli pastes and other assortments were from Korean suppliers. I would strongly recommend the grilled dishes to meat lovers and the tofu plate to vegetarians. It is not the usual Korean restaurant in Chinatown but it serves family style Korean cuisines. 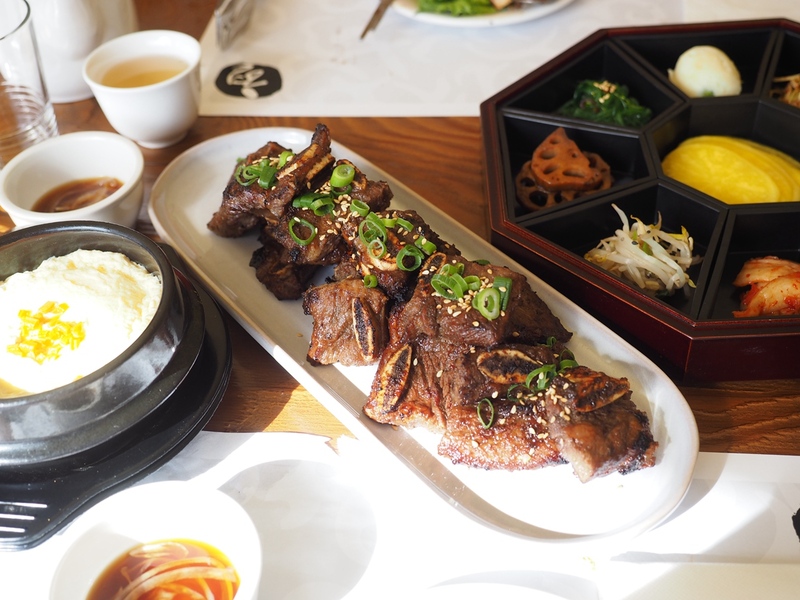 If you are after a traditional Korean family cuisine, I recommend you to try the place out. Although we did not have communication with the chef during the lunch, we can experience the love she put in her dishes. Disclaimer: Adelaidefoodies.com was invited to the restaurant but all opinions are my own. 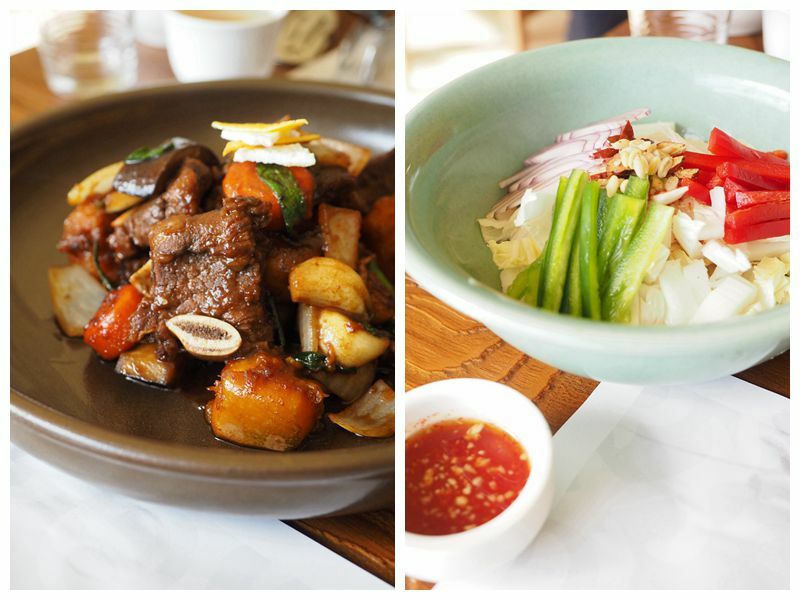 Great review Xin and the food looks innovative and delicious! Most people wouldn’t know in my opinion what consisted of traditional Korean food.